E3 Consulting - Property Taxation Specialists - Post Brexit View: Improvise, Adapt and Overcome! 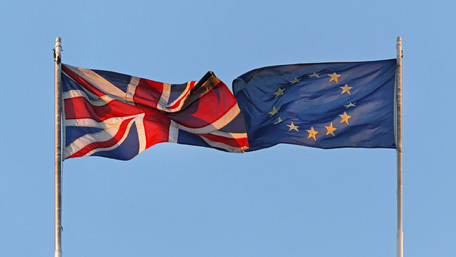 Following the results of the EU Referendum a fortnight ago, there is understandable caution in the market place as businesses investors and their respective advisers consider how best to react to the new paradigm. The property sector and wider economy faces new challenges, but we shouldn’t talk ourselves down into a more challenging state – the world is still turning! We must all learn to adapt appropriately, seek out the positives and grasp the opportunities that will arise in due course. Within the UK, there is further uncertainty at the prospect of a second Scottish referendum on Independence and the hesitation that may cause to investment and property and construction decisions in Scotland – whilst the politicians thrash out some clarity on of what Brexit will mean to us all over the next few months and years. Many investors may seek this opportunity to address their investment priorities and turn this to their advantage, including revisiting offer prices and development values to reflect the increased uncertainty. For direct tax at least the results of Brexit are unlikely to have any hugely negative influence. If anything the influence is likely to be largely positive as this may well mean some EU state aid restrictions will no longer apply – providing the UK Government with scope to better target relief and tax incentives to help nurture specific sectors and geographic locations. The Chancellor of the Exchequer has already hinted at reducing Corporation Tax to 15% to help make the UK more attractive location for businesses; albeit Corporation Tax accounts for less than 6% of total tax receipts. Similarly although VAT is currently covered by European directives and thus likely to be impacted by Britain’s vote to leave; any future Government is almost certain to maintain a VAT style sales tax as HM Treasury could not afford to lose the ‘income’ (being some 19% of tax forecast receipts in 2016-17) . There is also the opportunity that some existing EU case law may no longer apply in certain VAT cases where perhaps UK ‘norms’ had been overwritten by EU directives and decisions from the Court of Justice of the European Union. How and what the UK’s new relationship with Europe looks like will determine the future direction and complexion of the UK and possibly Scotland’s direct and indirect tax system. We must all move forward with confidence for a positive future … perhaps with a few bumps along the road! If you wish to discuss any specific projects or property tax concerns, please do get in touch with your usual E3 Consulting contact.